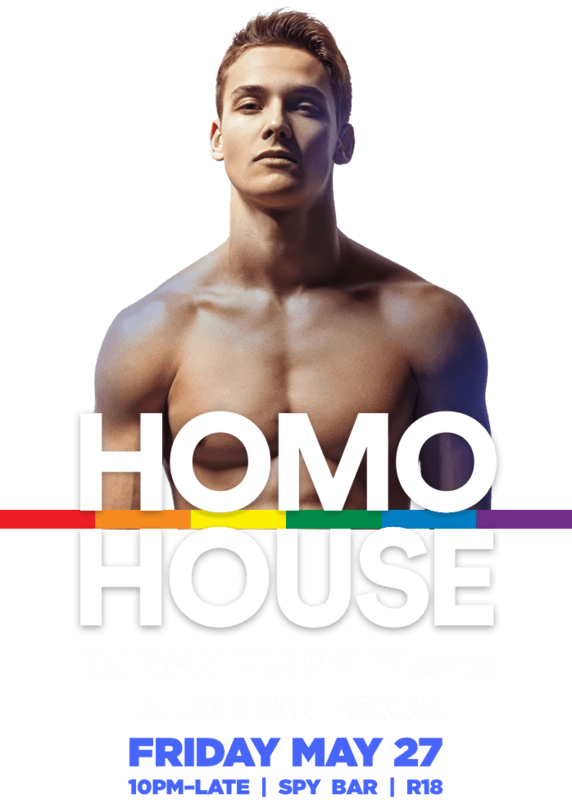 After the sold out launch, Homo House returns to SPYBAR on Friday, May 27 featuring Australian Superstar DJ Dan Murphy. DJ Dan Murphy is one of Australia’s most well known DJs. He has toured all over the world playing some of the major gay parties and festivals, headlining the Sydney Mardi Gras Party (many times) and this month he played at the famous White Party Palm Springs. He’s remixed and worked alongside some famous divas; Kelly Rowland, Kylie Minogue, Madonna, and many more. Dan arrives to Auckland fresh from his West Coast tour of the US and will be spinning a massive 3 hour set of uplifting, vocal, high energy commercial house – you will not want to miss this! Homo House returns bigger and better. Our resident DJ and local favourite DJ Jordan Eskra will be on the decks kicking off the night. We have changed the layout slightly increasing the dance floor and capacity. No Dress code, the less clothes the better. Tickets on sale from 8am Wednesday, May 4th.